At the start of January 2019, façade and ceiling cladding specialist CertainTeed (Malvern, Pennsylvania / USA; www.certainteed.com) closed down PVC production at Lake Charles, Louisiana / USA. The company told PIE that its raw material supply options are no longer economically viable over the long term. PIEs Polyglobe database (www.polyglobe.net) shows that the plant, which had been in operation for 43 years, had a capacity of 220,000 t/y. PVC will now be bought in from external suppliers. The plant at Lake Charles was the only PVC production plant operated by CertainTeeds parent company Saint-Gobain (Paris / France; www.saint-gobain.com). The US subsidiary has around 6,300 employees at 60 production sites in the US and Canada. It generated sales of USD 3.7 bn (EUR 3.24 bn) in 2017. 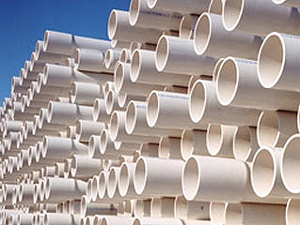 Saint-Gobain spun off the PVC pipe business from the US company in 2013 and sold it to North American Pipe, a subsidiary of Westlake Chemical (Houston, Texas / USA; www.westlake.com) see Plasteurope.com of 12.03.2013.